Carolina silverbell, Halesia tetraptera, with striped bark and morning-lit seed capsules in Woodland Walk. 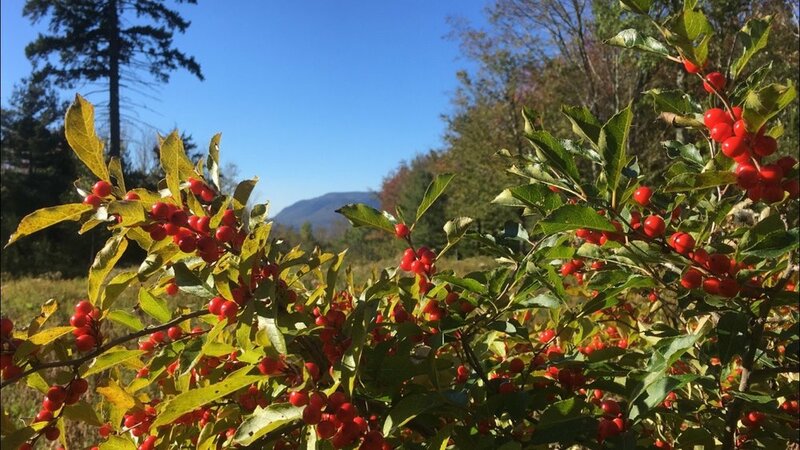 Winterberry, Ilex verticillata, frames the East Meadow and views of the Catskill Mountains. Asters and salvia bloom with the blue-green-purple foliage of the native grass little bluestem in the Spiral Labyrinth. Fall is a wonderful time to appreciate the cones of Japanese white pine and other conifers in the West Meadow. 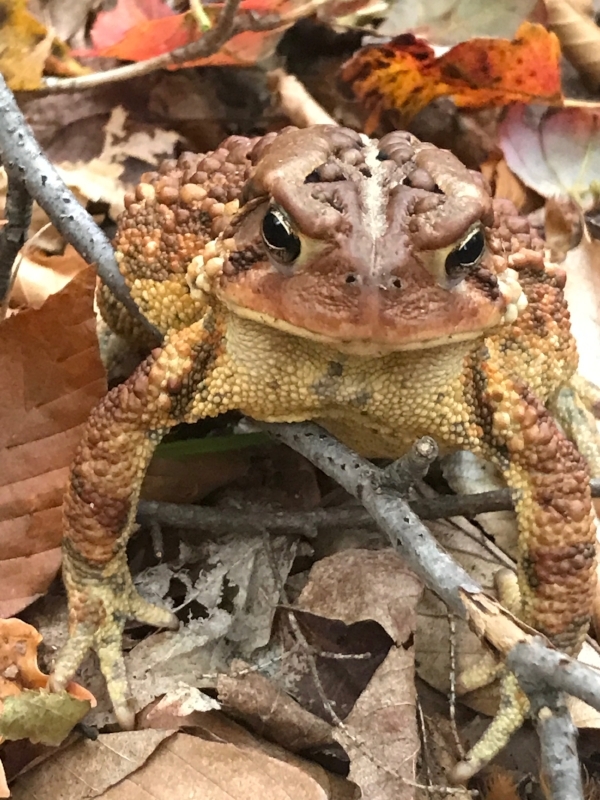 An American toad camouflaged by Autumn leaves in Spruce Glen.